To wet to work so i made a loop in the rain this morning after dropping the kids off at school. Heard him gobble 250-300 yds away at 9:47 and killed him at 40yds at 9:56. We were both soaked by the time i got him back to the truck! 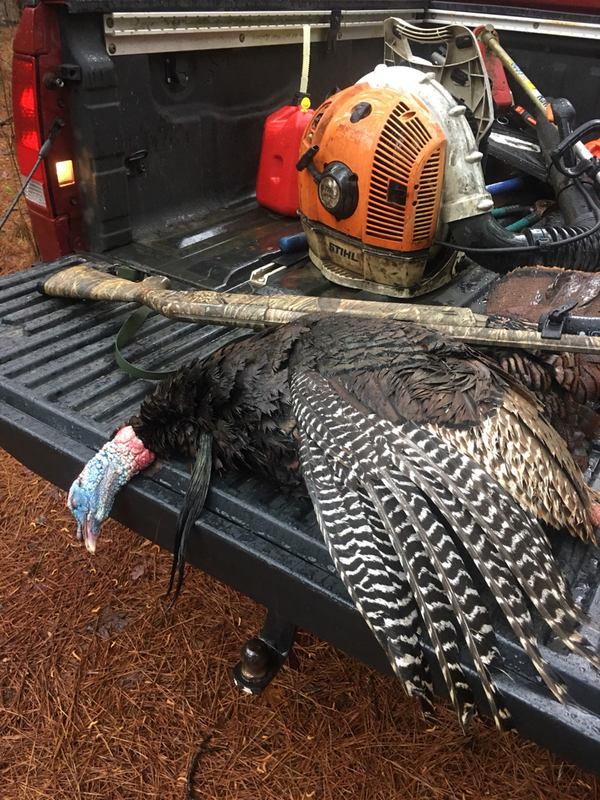 Spurs were about 3/4" but the beard was just over 11"